Is there anything more annoying than your face looking like a greasy shiny ball post moisturizer application ? I have had such annoying experience with few moisturizers in past and I'm sure many people with oily skin have had them too. Finding a moisturizer for oily skin can be tough. Not only it has to be the one with a shine free formula but also an acne and breakout battler. La roche posay is a french pharmacy skincare brand. 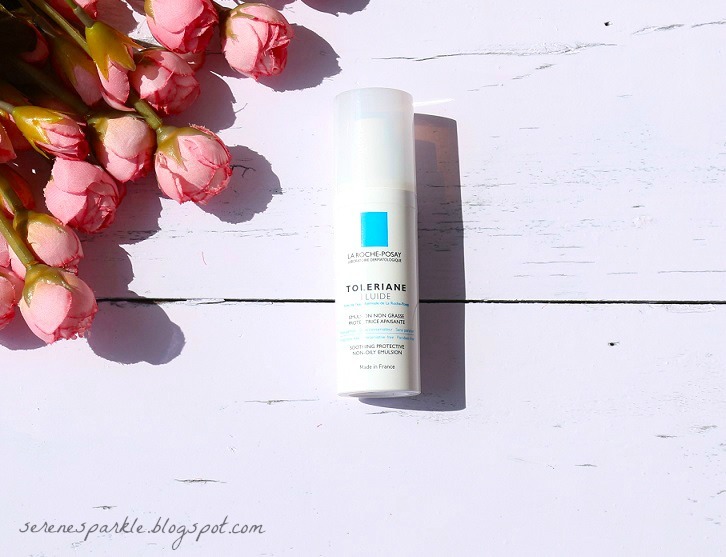 Their effaclar range for acne prone skin has gained a lot of favourable responses by many bloggers and vloggers and though I don't have any personal thoughts to share on the effaclar range because I haven't tried it yet but today I'm gonna be sharing my experience with another lovely product from this brand, their toleriane fluid. (Rs.1350/- 40ml). With the goodness of cucumber seed oil and aloe vera extract, this cooling and hydrating under eye gel pack keeps you looking charmingly bright eyed and refreshed. The purity and high mineral content of cold pressed cucumber seed oil heartily stimulates micro circulation and elevates moisture levels in the sensitive area around the eyes. It's cooling and anti-aging properties help you combat dark circles, tired skin, under eye puffiness, wrinkles and other signs of fatigue and stress. Additionally, the aloe vera instantly firms the skin, while fading fine lines. I was nominated for Versatile Blogger Award by Sonali from SkincareVilla blog on 7th of July. I know it's very late in accepting the award but some other things kept me occupied and I did not get the time to prepare this post. I would like to thanks Sonali for nominating me. She has an awesome skincare blog with best reviews and great DIY recipes for your skin. Check out her blog HERE. 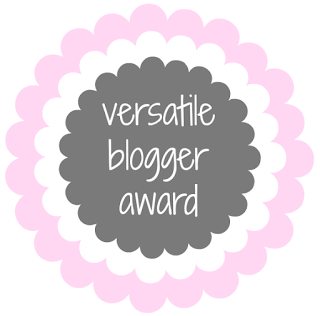 Versatile blogger award is an award given by bloggers to bloggers and thus supporting each other and helping new blogs to get noticed. Like Liebster, here also if you're nominated, that means you have been awarded the Versatile Blogger Award. You should thank the person who has nominated you and add a link back to their site. Next select 10-15 bloggers that you follow regularly and pass this award to them. Share 7 random facts about yourself.